ComfortFlex is a durable top-quality vinyl flooring that offers an affordable price with longevity. It gives off the appearance of stone or hardwood at a fraction of the cost. Our Designer Vinyl Flooring for Trade Shows and Showrooms are flexible and durable for any exhibition, convention and expo. This is a great option for exhibitors who need a professional looking booth space for trade shows, expos, conventions or conferences. It is a cost-effective way of having a professional floor without the added cost of maintenance associated with real hardwood flooring. We offer a large selection of colors and grain styles to match any existing exhibition marketing design. Custom sizes can be made too. At just 1/8” thick, this low-profile flooring is easy to install. Padding can be added to make this flooring even more comfortable. Transporting this flooring to and from events is easy with shipping tubes and hard cases. This easy-to-clean, durable and slip-resistant finish is also great for retail shops, hotels, stores, basements, garages and car workshops. 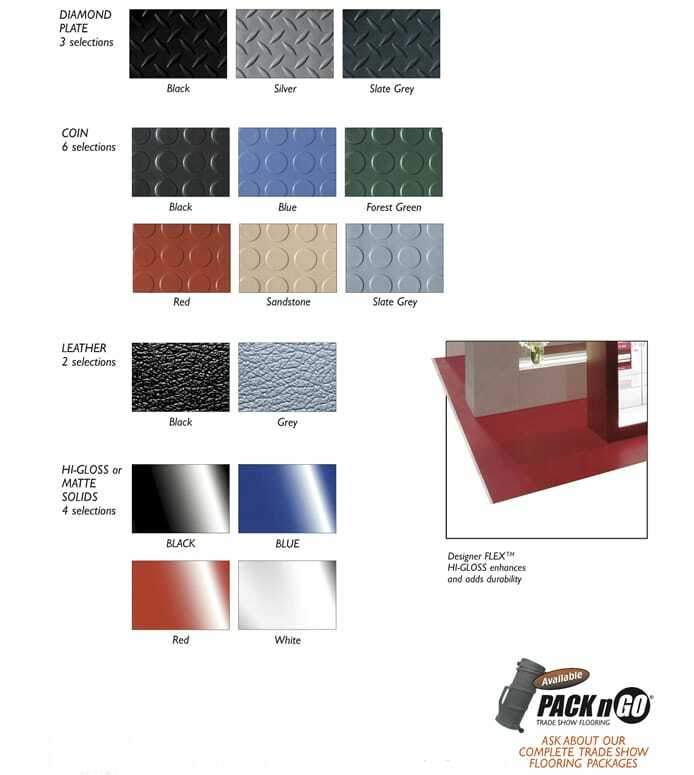 Peruse our large selection of portable vinyl flooring sized to fit common trade show floor spaces. Durable against tears and rips, they are easy to maintain and clean, making them a great option for your exhibition marketing design. Select from a large variety of patterns of natural looking wood and stone. Comfort Flex vinyl trade show flooring offers not only realistic patterns, but stability. 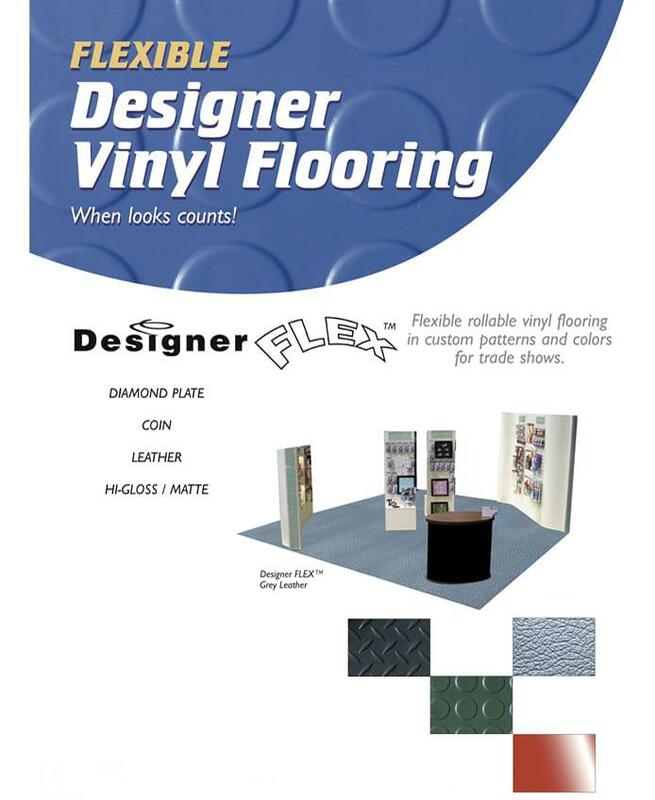 When you desire an elegant, charming or rustic design, look to Comfort Flex flooring for your trade show exhibit. The specialized embossing technology used during production creates a 3D texture that looks and feel natural. It is nearly impossible to tell the difference from any other natural product. For more information on Comfort Flex and what options we have available, contact our professional team at Capital Exhibits today!